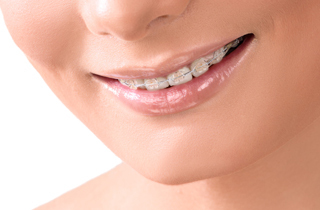 The distinct features of invisible braces have made them a popular treatment for occlusion. They are almost completely unnoticeable, are removable and take a relatively short period of time to produce a visible result. Here’s a rundown of everything the procedure entails. ClearCorrect and other invisible braces are pretty versatile but that does not make them workable on all orthodontic issues. The initial consultation with your dentist or orthodontist helps you find out if you’re fit for the treatment. Once you have been passed eligible, your dentist will take several impressions of your teeth and send them to the ClearCorrect company. The images will be used to make a computer-generated 3-D imaging of your teeth alignment, from which your trays will be designed. Your dentist will receive several sets of slightly different aligners to be worn in a specific order, one every two weeks. Your removable aligners should be worn at least 20 hours daily to ensure the next aligners fit your teeth well. Your dentist will check you regularly to see if you are making headway. Slight adjustments will be made to your teeth or braces if necessary. If your teeth still have flaws after you have worn all the aligners provided to you, your dentist will send new impressions to the ClearCorrect team and ask for refinement trays. Retainers look just like your invisible braces and come after you have worn your last set of trays. Their purpose is to ensure your teeth do not move back into their old alignment.